Leading Exporter of osha-1 danger signs, osha-2 caution sign, osha-3 safety first sign, osha-4 notice sign, osha-5 think sign and osha-6 be careful sign from Mumbai. We have over two decades of vast industrial knowledge and experience in producing superior quality Danger Sign. 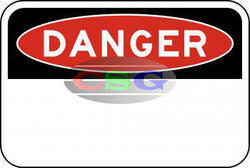 OSHA-1 Danger signs are manufactured on Aluminium, rigid plastic or pressure sensitive vinyl. They are available with 152 standard OSHA codes. Custom messages can be added at no additional cost. The basic materials used in manufacturing Custom Message Sign are well tested by our testing team to ensure its safety. Advanced techniques are used to produce Aluminium Sign with precision. We are known for creating a wide range of innovative and sustainable products for the industrial markets among which Caution Sign stands on its design, strength and reliability. 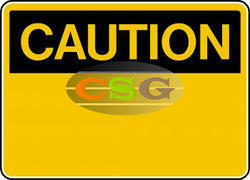 OSHA-2 Caution signs are manufactured on Aluminium, rigid plastic or pressure sensitive vinyl. They are available with 152 standard OSHA codes. Custom messages can be added at no additional cost. Our Osha Caution Sign are finely finished and are known for their ability to provide optimal protection. 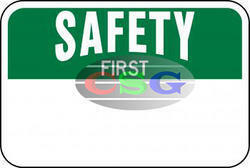 We are the prominent manufacturer, supplier, trader, distributor and exporter of Worker's Safety Sign. OSHA-3 Safety First signs are manufactured on Aluminium, rigid plastic or pressure sensitive vinyl. They are available with 152 standard OSHA codes. Custom messages can be added at no additional cost. This Construction Safety Sign allows the workers to handle hazardous tasks at a workplace with adequate safety. 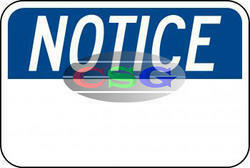 OSHA-4 Notice signs are manufactured on Aluminum, rigid plastic or pressure sensitive vinyl. They are available with 152 standard OSHA codes. Custom messages can be added at no additional cost. Our Osha Notice Sign are being exported to global regions like of Middle East, Africa, South Asia, Latin America, Europe, Bangladesh, Bhutan, Nepal, Sri Lanka and many more.These Safety Signs follows industrial norms . 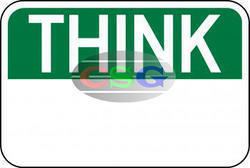 OSHA-6 Think signs are manufactured on Aluminium, rigid plastic or pressure sensitive vinyl. They are available with 152 standard OSHA codes. Custom messages can be added at no additional cost. These Thisrmatory Sign is used in work areas which are prone to higher risk of accidents. In addition, we offer varied range of Custom Message Sign which are being widely used in industries like Metallurgical, Steel, Aluminium, Power, Energy, Petrochemical, Oil & Gas, Glass, Chemical, Cement Offshore & Onshore Industry, Furnace Areas, Fire Departments, etc. With more than two decades of experience in the field of Industrial Safety Products, we have emerged as a respectable leader for the supply of Caution Sign. 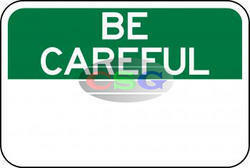 OSHA-7 Be careful signs are manufactured on Aluminium, rigid plastic or pressure sensitive vinyl. They are available with 152 standard OSHA codes. Custom messages can be added at no additional cost. • Sign will resist fading. This Custom Message Sign conforms to government standards and industry regulations. New models of this Emergency Sign keep developing to produce higher quality products without cutting corner. Caution Sign helps in protecting workers from life-threatening hazards at the workplace. 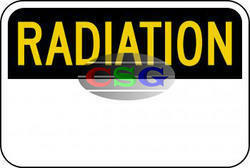 OSHA-8 Radiation signs are manufactured on Aluminium, rigid plastic or pressure sensitive vinyl. They are available with 152 standard OSHA codes. Custom messages can be added at no additional cost. This Radiation Danger Sign is available in customised styles and colours as per customer’s demand. Radiation Area Sign being lightweight but sturdy offers comfort along with protection. Our quality management team inspects and tests Radiation Hazard Sign before it is dispatched to customers. Looking for OSHA Safety Signs ?